I am looking for an intelligent, creative, honest, faithful, reliable and sincere man who is eager to share all his joy and sorrows with me and who can make me happy in marriage. I would like to have a harmony and duet in everything that is connected with a man and a woman. I would like to have a heart where you will always stay there forever, a heart full of love and warmth. Classical Music, Jazz Music, Country Music, Theatre, Gardening, Reading, Cooking, Travelling and Keep Fit. I enjoy most things in life but am at my happiest when I am with good company. I love to chat and make people laugh and am confident when around other people. I am honest and definitely trustworthy and always come with a smile. I enjoy most types of music and even do a bit of dancing! I enjoy keeping fit as its important for how I look and my health. Enjoy most sports and love listening to music snuggled up on the sofa with a glass or two!! of wine. Enjoy dining out but also enjoy experimenting with food at home. I believe you are what you eat so I take particular interest in eating healthy. My friends would describe me as a fun and happy person to be around and one that always looks well presented with a good figure. Pop Music, Rock Music, Movies, Dancing, Animals, Gardening, Reading and Keep Fit. Hi, like most folk, I have been married, divorced and children grown up and are independent. I have a full time job, rent a small flat, humble income, and quite independent. I love the outdoors, and spend a s much time as I can out walking, favourite locations are canal paths. I have done 7 of the 300 or so Munroes, and many peaks. I have done Scuba in Thailand and Egypt, and although passed my advanced, am still a beginner. The guy I am looking for must NOT be a smoker! He must be solvent, with an excellent education as I find an intelligent man highly attractive and very interesting to listen to. I do love to have days out in places of historic interest, and would like to know my guy has knowledge of architecture and history. 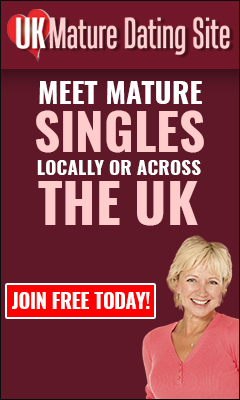 It may seem a lot to ask but pointless joining a dating site and not stating what you are looking for! Animals, The Outdoors, Restaurants, Reading, Computers, Internet and Travelling. Classical Music, Country Music, Movies, Theatre, Dancing, Animals, Gardening, The Arts, The Outdoors, DIY/Crafts, Restaurants, Reading, Cooking, Travelling, Keep Fit, Sports (Playing) and Sports (Watching).